Queen Victoria herself undertook the design for the dresses worn by her twelve bridesmaids, who were all the eldest daughters of peers. She outlined a simple white dress trimmed with sprays of roses. 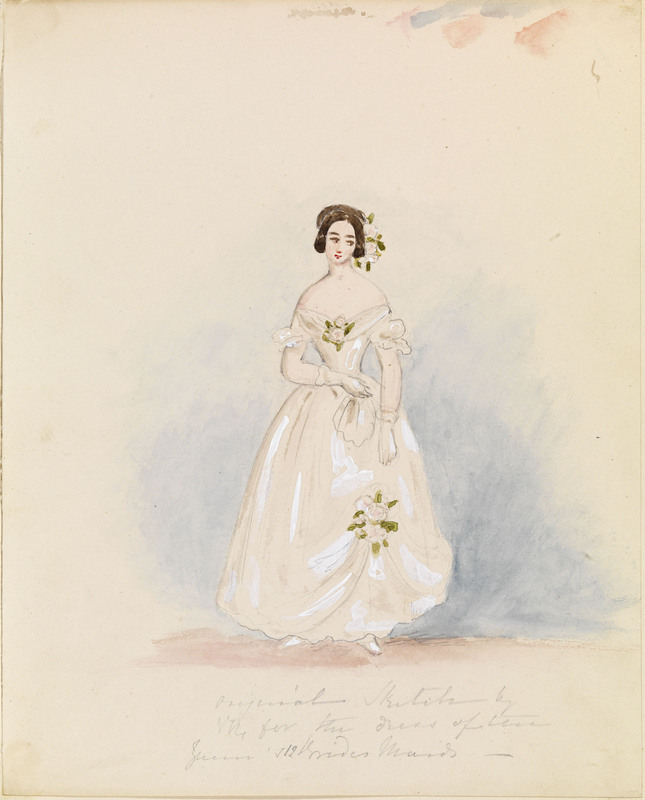 The sketch was given to her Mistress of the Robes, the Duchess of Sutherland, who supervised the making of the dresses ready for the queen's wedding to Prince Albert on 10 February 1840.